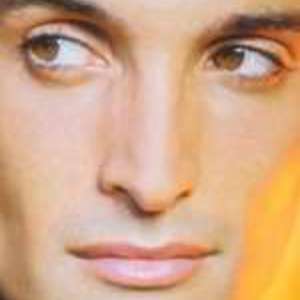 Nuno Guerreiro (born in Loul?, 1972) is a Portuguese singer and vocalist in the band Ala dos Namorados, where he gained popularity. Ala dos Namorados was formed in Portugal in 1993. The band initially consisted of Joao Gil, Joao Monge, and Manuel Paulo. When the band was formed, Jose Moz Carrapa also joined Ala dos Namorados. Soon after, the band members have met Nuno Guerreiro during a spectacle by guitar-virtuoso Carlos Paredes. Nuno Guerreiro was invited to join Ala dos Namorados. Since Nuno is counter-tenor, his voice lets you explore various sounds - he has the ability to interpret Baroque repertoire - oratory, arias of Handel or Purcell, as well as fado, pop or soul music. Nuno Guerreiro studied lyric singing at the Portuguese National Conservatory, where he also received his diploma as a professional dancer. During the last 15 years, the active members of Ala dos Namorados have left (and rejoined) the band, dedicating themselves to musical projects of their own.